Check our our winter weekly schedule! *Please note: due to our limited class size, once registered the classes are non-refundable and non-transferable. All abilities welcome from absolute beginners to our junior shredders. 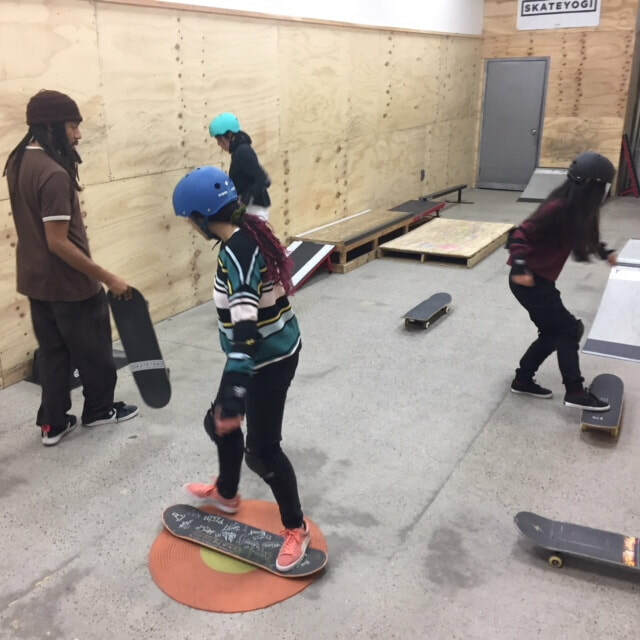 Group exercises and skate games teach skateboard fundamentals while having fun. 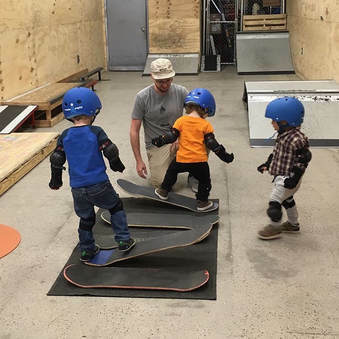 The "sesh" at the end will allow for one-on-one attention while the kids take turns with assistance on the ramps. Please sign-up in advance to hold your spot since classes are limited to 6 students! ​There’s something for everyone whether you’re an experienced skater or just starting out—no experience necessary! 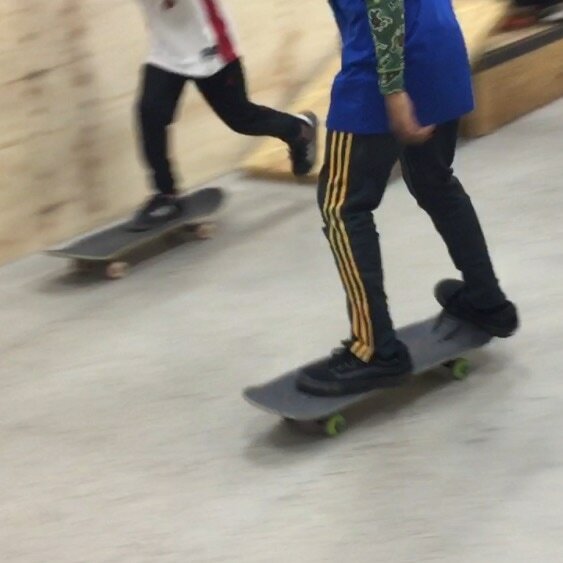 For beginners, we will cover the basics of skateboarding such as balance, pushing off, and turning. The more advanced will learn to drop-in, pump the transitions and shred the street obstacles. Featuring veteran skaters talking skills and demonstrating favorite tricks. 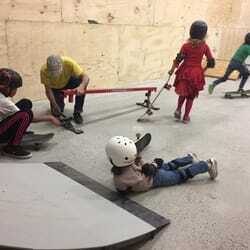 ​Includes free rental skateboard and safety gear. Caregivers wait in the front shop/lounge area and can see the fun through the fence divider. Space is limited. Sign up to save your spot! 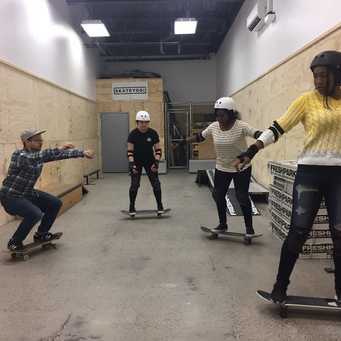 This class is designed for adults who are new to skateboarding and want to learn the basics in a fun, supportive environment. Group exercises and guided practice will introduce techniques such as stance, pushing, stopping and turning. Includes free rental skateboard and safety gear. Caregivers wait in the front shop/lounge area and can see the fun through the fence divider. Warm-up from 10:45-11am. Class from 11-11:30am. 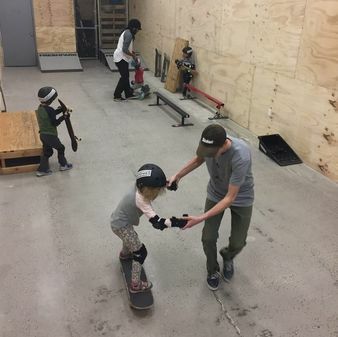 Children are welcome to stay after class until 12:30pm to have lunch, hang with their friends and enjoy free play in our indoor space (no skateboards after class). Wednesday is Adult Skate Night! Please sign up in advance to secure your spot. 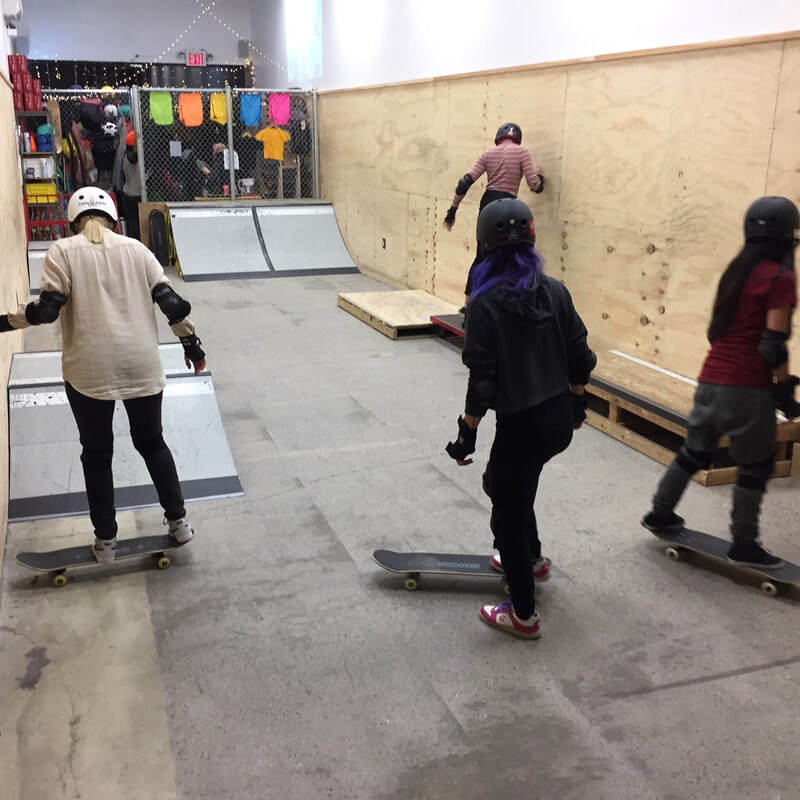 ​This class is designed for adult skaters that are comfortable with the basics or experienced skaters coming back from retirement. Includes free rental skateboard and safety gear. Group exercises and guided practice will cover tricks such as ollies, shove-its, 180s, etc. Obstacles and ramps will also be used to challenge students in a supportive environment. Stick around for the practice sesh right afterwards! Come hang out, and practice skating the ramp in an open session reserved exclusively for Wednesday adult SKATEYOGI students. Interested in a SKATEYOGI private session? $150 for a 60-min session for up to 3 students ($30pp for additional students). Free equipment rental included in the fee. Great birthday present!